You’ll find the best outdoor adventures in Finland ranging from cycling to kayaking to dogsledding to encounters with wildlife. While reindeer are famously known for pulling Santa's sleigh, there's so much more to them.For example, they can see ultraviolet light! While reindeer are famously known for pulling Santa’s sleigh, there’s so much more to them.For example, they can see ultraviolet light! 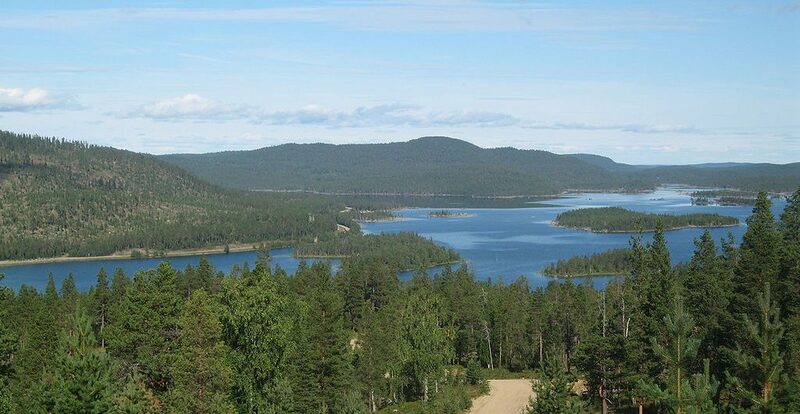 Must see sites along the Iron Curtain Trail in Finland whether you cycle or drive the 1700 km long route! It's in many remote areas that off-the-beaten path type travellers will enjoy exploring. 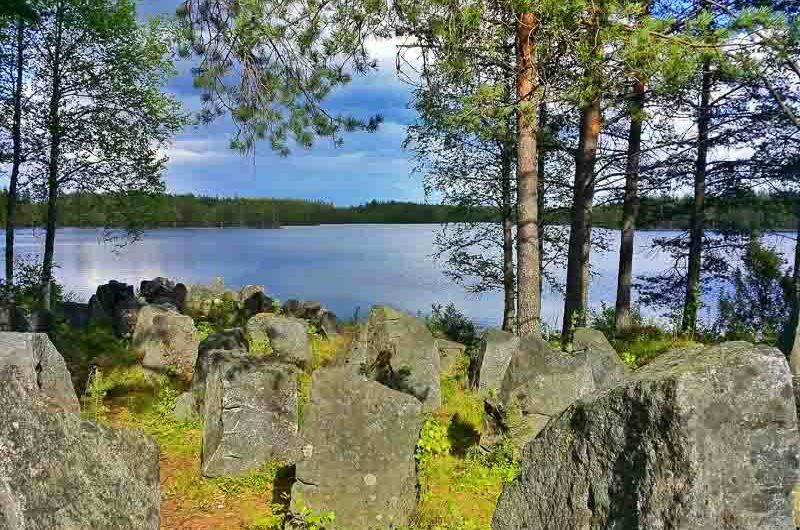 Must see sites along the Iron Curtain Trail in Finland whether you cycle or drive the 1700 km long route! It’s in many remote areas that off-the-beaten path type travellers will enjoy exploring. 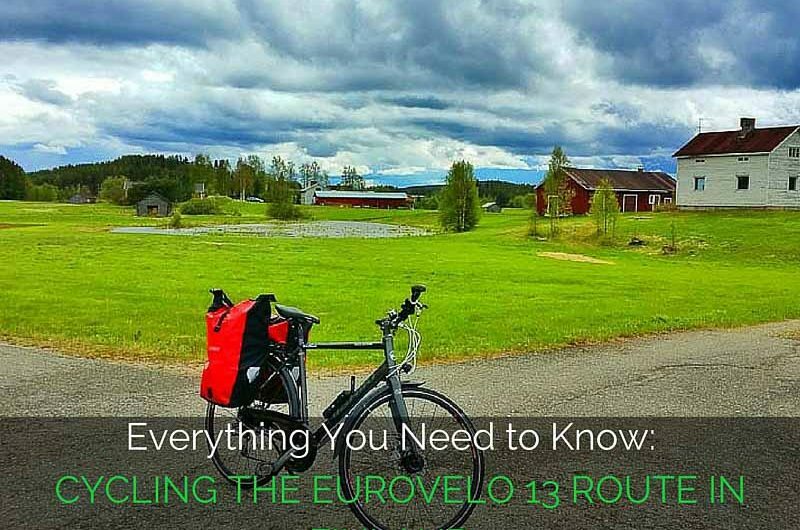 All your questions answered about what you really need to know about cycling the EuroVelo 13 (Iron Curtain) Route in Finland! How to Cycle the Eurovelo 13 Alone Across Finland! What happens when you take a girl who has never cycled more than 20km 6 weeks before she is about to cycle the Eurovelo 13: The Iron Curtain Trail 1500km across the remotest parts of Finland...alone? What happens when you take a girl who has never cycled more than 20km 6 weeks before she is about to cycle the Eurovelo 13: The Iron Curtain Trail 1500km across the remotest parts of Finland…alone? Lentiira is one of the best places for both wolverine and bear watching in Finland! I saw 2 of each on my overnight wildlife safari! Finnish food is a mystery to most people that haven't been to Finland, but it's another great reason to visit Finland. And yes reindeer is delicious, not to mention nutritious! Finnish food is a mystery to most people that haven’t been to Finland, but it’s another great reason to visit Finland. And yes reindeer is delicious, not to mention nutritious! Today is the best time to see a Saimaa Ringed Seal in Savonlinna, Finland because with only 300 remaining, they are critically endangered...and may not be around tomorrow! Today is the best time to see a Saimaa Ringed Seal in Savonlinna, Finland because with only 300 remaining, they are critically endangered…and may not be around tomorrow! I'm beyond excited to announce my most EPIC trip yet - cycling the Iron Curtain Trail (EV 13) 1600km across Finland! As a bonus, I finish in Nuorgam, the most northern point in Finland and in the EU! I’m beyond excited to announce my most EPIC trip yet – cycling the Iron Curtain Trail (EV 13) 1600km across Finland! As a bonus, I finish in Nuorgam, the most northern point in Finland and in the EU! Liminka Bay is the number one bird watching spot in Finland, according to wildlife photographer Jari Peltomäker, who promises that he's not biased. You can find over 200 bird species there! Liminka Bay is the number one bird watching spot in Finland, according to wildlife photographer Jari Peltomäker, who promises that he’s not biased. You can find over 200 bird species there! Not only is Kvarken Archipelago Finland's only natural UNESCO Site, it's also one of the fastest rising land uplifts in the world and a nature lover's paradise. Not only is Kvarken Archipelago Finland’s only natural UNESCO Site, it’s also one of the fastest rising land uplifts in the world and a nature lover’s paradise. On a visit to a reindeer farm I learned some rather interesting Finnish cooking methods, from none other than an eccentric reindeer farmer. Finnish drinks have a wide range of flavors from lemonade to salty black licorice to pine tar. There's something for almost every palate! Finnish drinks have a wide range of flavors from lemonade to salty black licorice to pine tar. There’s something for almost every palate!